April 6th. 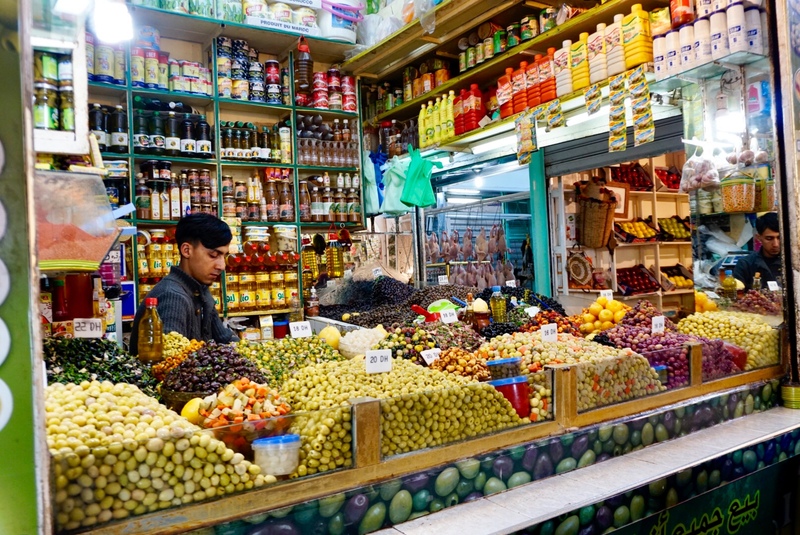 Tangier | Morocco. A Clash of Cultures | Peter M. Schloss | J.D. - Mediator. 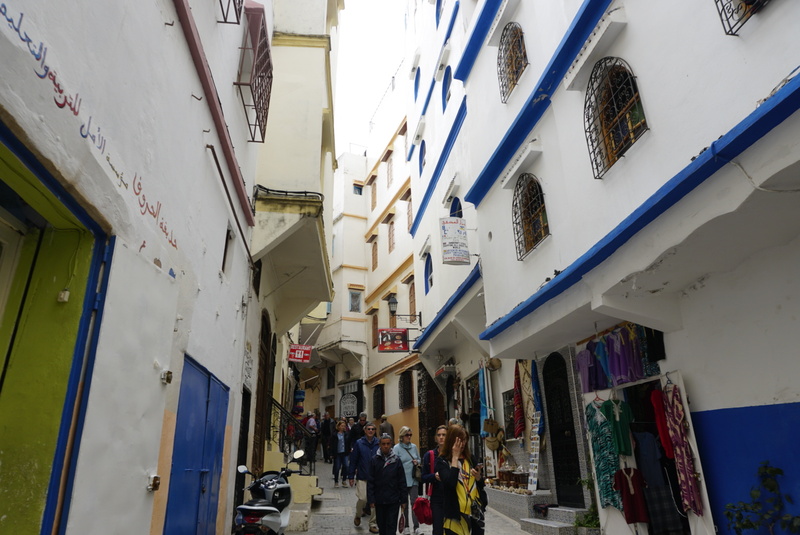 We are again on land with a day in Tangier. This is our first visit to Africa. 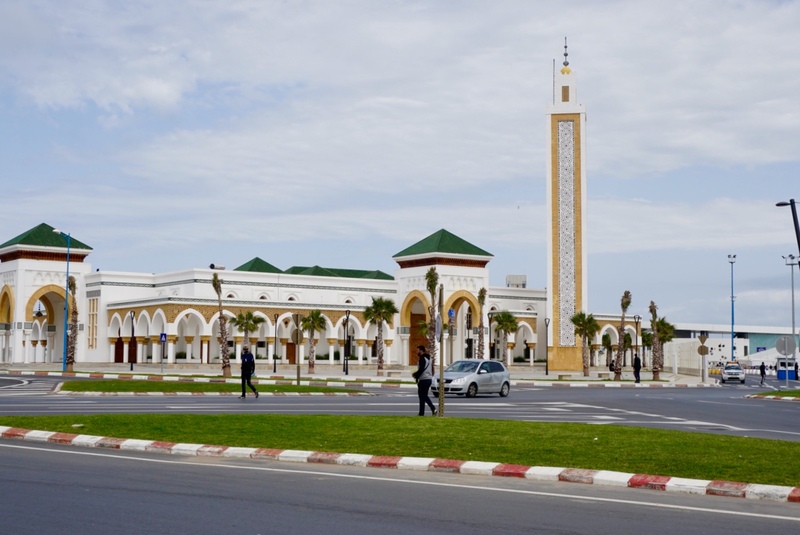 Morocco is the only country in Africa with shores on the Atlantic Ocean and Mediterranean Sea. 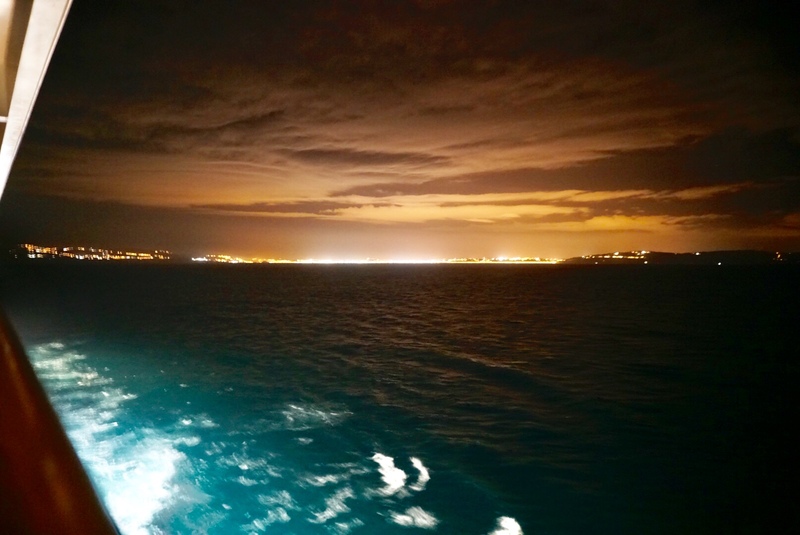 We are a scant 20 minutes south of Spain by high speed Ferry, which service runs hourly. This is a place where cultures have clashed for millennia, each leaving a cumulative footprint. The Berbers are considered the indigenous people. Invaders have included the Phoenicians approximately 3,500 years ago, followed by the Carthaginians, Romans, Visigoths, Arabs, Portuguese, English, Spanish, and French. 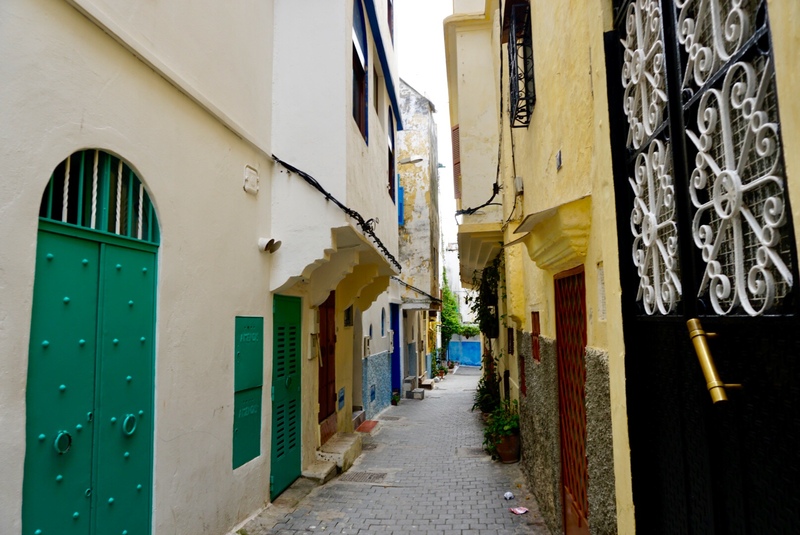 Morocco was a French colony during much of the 20th Century and most signage in Tangier is posted in Arabic and French. 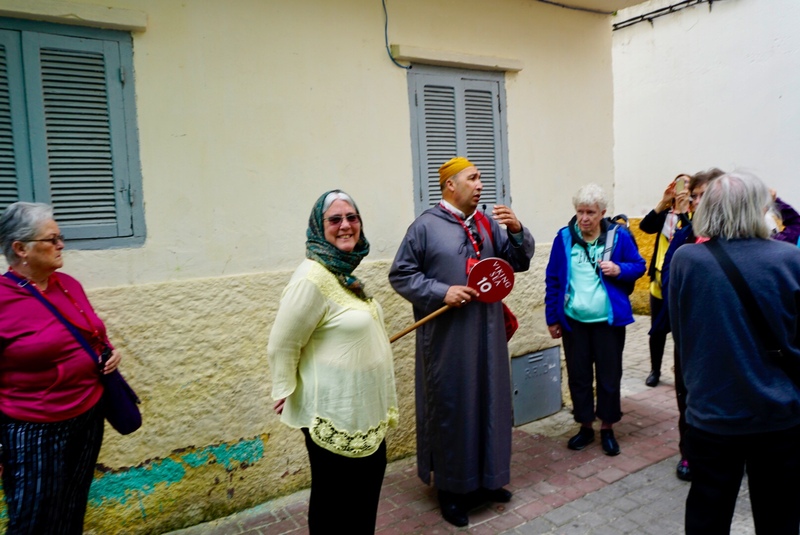 We participated in a 3 hour guided walking tour of the Kasbah, formerly a walled fortress and now a bewildering maze of narrow winding walkways where multi-story buildings that date back hundreds of years seem to lean in on you from all sides. 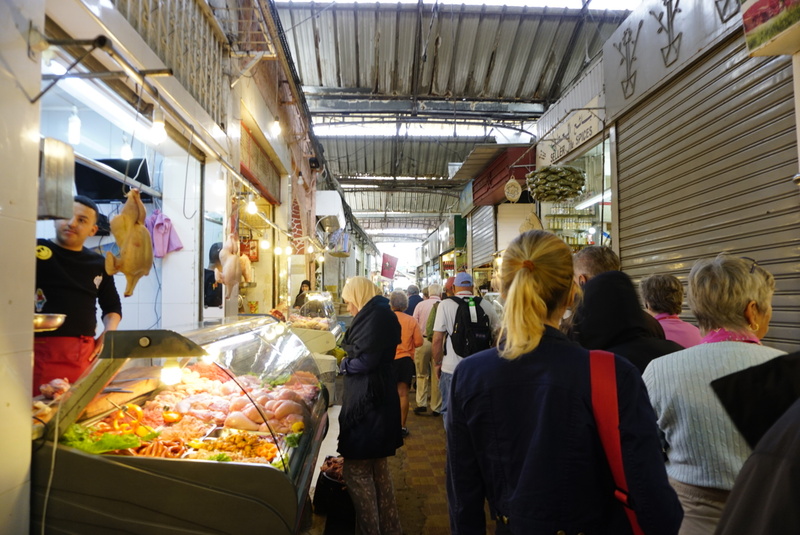 Most are residences in the upper levels, with the first floors presenting an array of shops themed for the needs of tourists and locals alike. 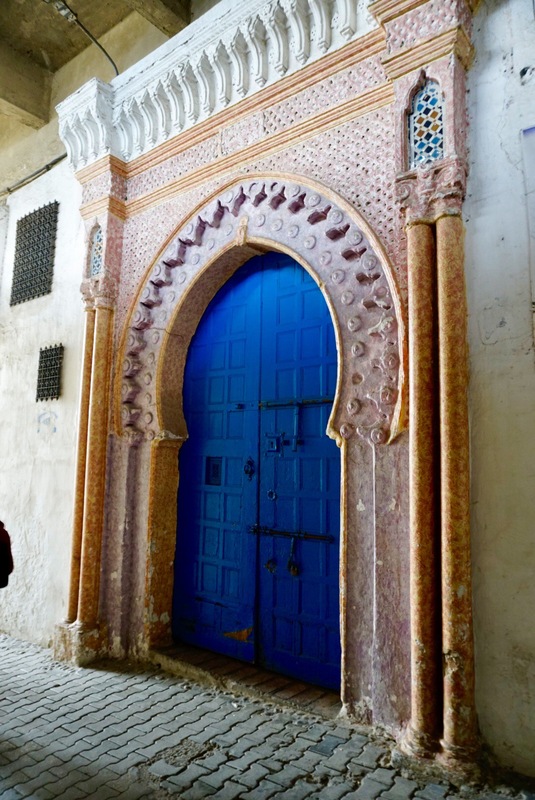 Our tour included a visit to the Kasbah Museum, housed in the former palace that dates to the late 17th Century. 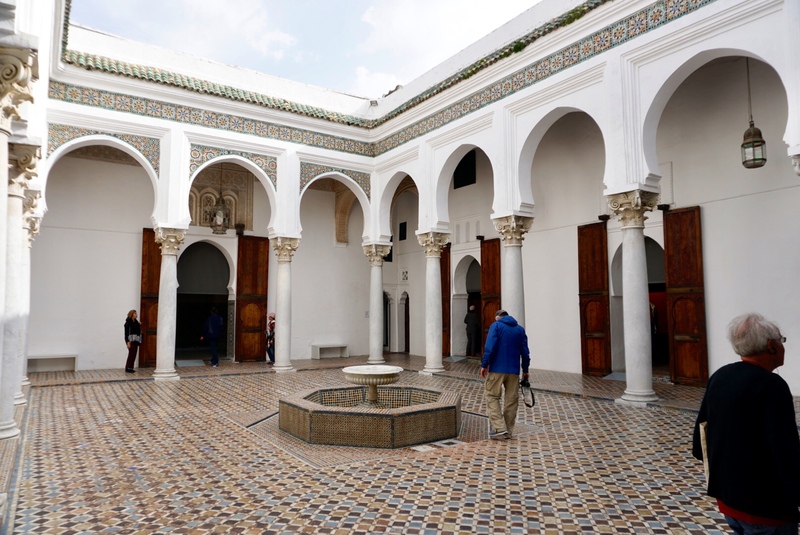 Within the Kasbah is a Catholic Cathedral, a Jewish Synagog, and of course a number of Mosques, one of which dates to the 1200’s. At the conclusion of the guided tour Christine and I continued wandering solo. 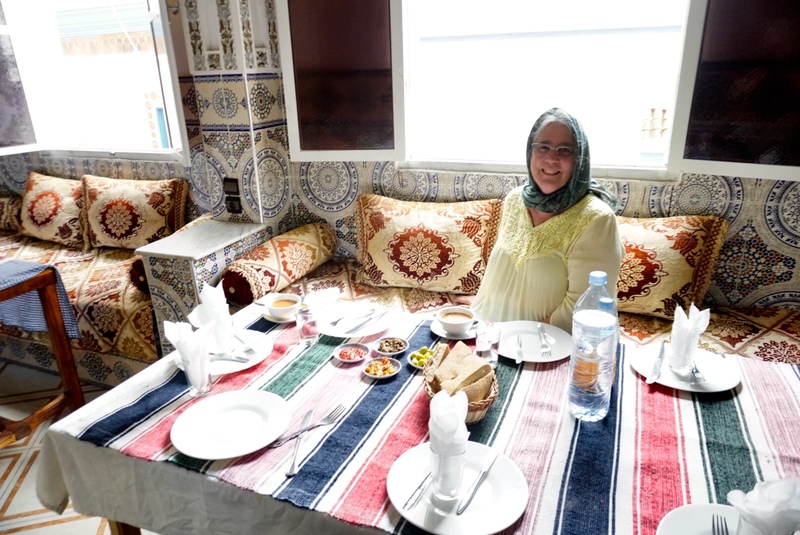 We were seeking an authentic Moroccan restaurant frequented by locals rather than tourists. As we perused a map a young teenage boy approached us offering assistance. This was Anwar. He spoke excellent English and seemed nothing more than a Good Samaritan. He knew “just the place” and proceeded to lead us since he had “nothing else to do”. What we didn’t first perceive was that Anwar had made us his “thing to do”. We arrived at a fine restaurant after 30 minutes of following Anwar… who kept promising “its just ahead a little bit more”. 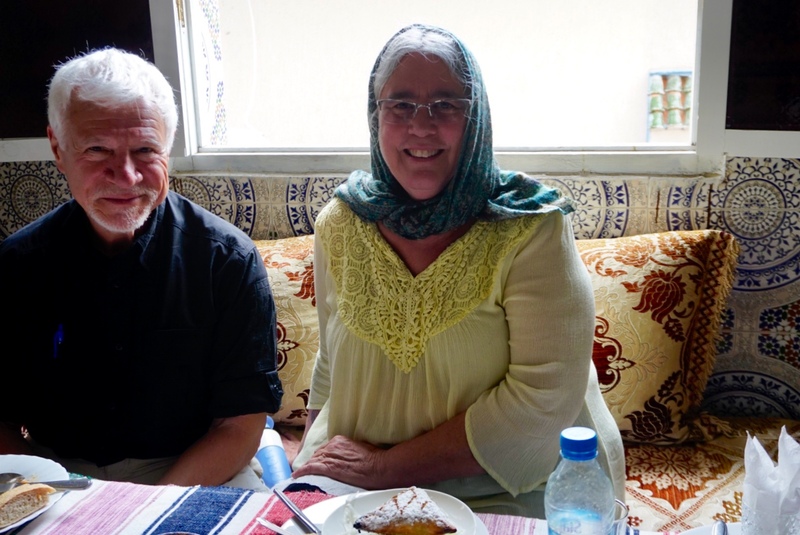 It began to dawn on us that Anwar had designated himself as our hired guide, especially when he sat down to eat lunch with us! The meal was wonderful, certainly authentic, and at 40 euros a bit pricey. We didn’t get tagged for Anwar’s meal, but we suspect that the restaurant comped it for him as he was responsible for bringing in paying customers (us). After lunch we did finally part ways, and I did “grease” Anwar’s palm. I understand that his initial “help” is easily misunderstood. Our culture associates acts of kindness with the virtue of charity. Anwar has been raised to equate kindness with compensated service. Similarly, the vendors who incessantly approached us misconstrue our curiosity about an item or its price as a commitment to purchase, with only the final price to be agreed upon. Where cultures clash, tempers may flair. It is not because someone was wrong and someone was right. It is just because each has failed to presume in favor of the best intentions of the other. 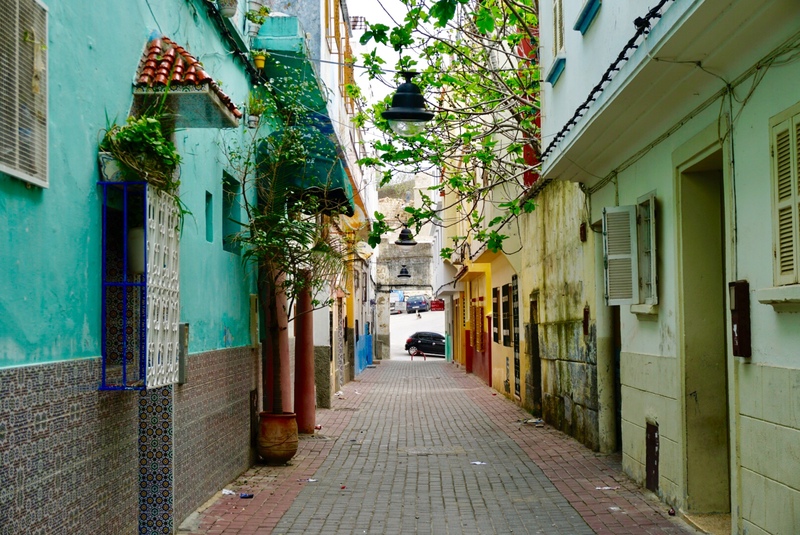 So many amazing brilliant colors in your Tangier photos! They seem to sum up the cultural combo you found there. Imagine Jews, Catholics and Moslems worshipping in such close proximity to each other. It looks beautiful the colors are so vivid. pictures are wonderful. Have a great trip. Thank you Charlene, and hi to Chuck!! So happy that you are taking us with you on your journey!! Much more “exotic” than the Casita pics, though I do miss the Cowboy cooking! 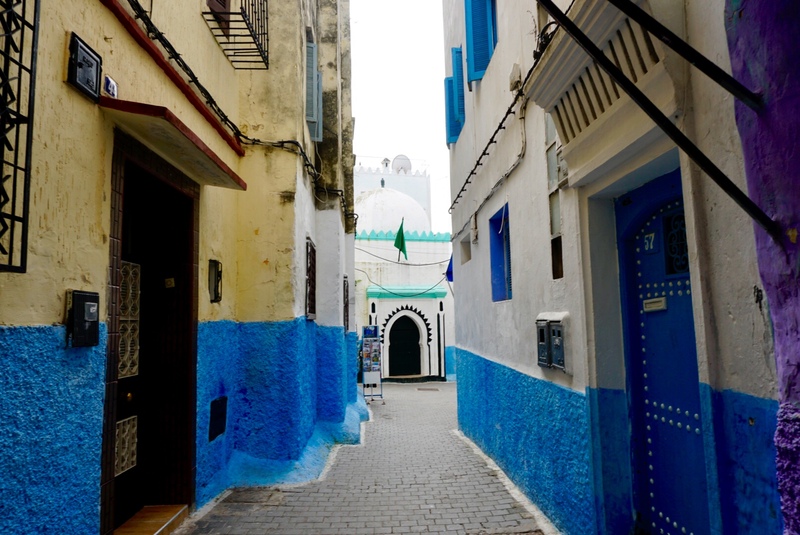 Morocco is on my list… some day! Glad you are enjoying the trip Liz! 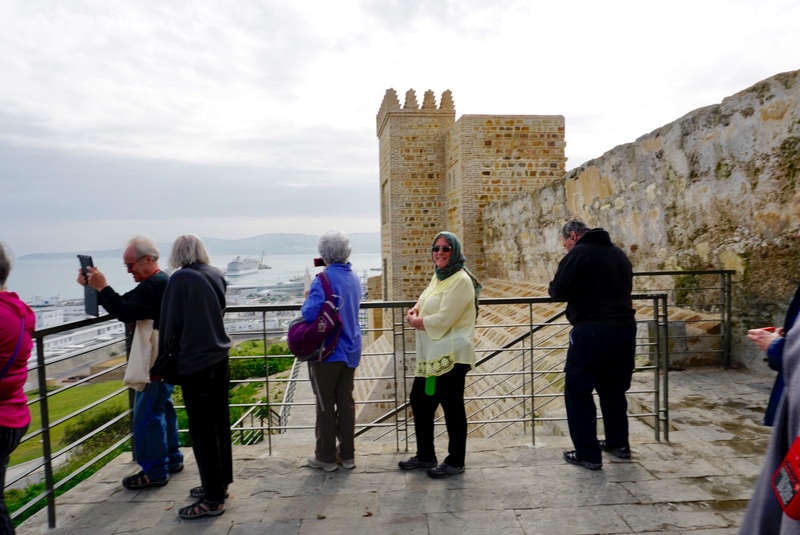 We for sure are enjoying your trip photos and thoughts immensely. Wonderful! Thank you Moira and Gene. We look forward to a post journey “catch-up” with you back in Kansas City. We look forward to the “catch-up”. Cheers and happy travels! Thanks Bryony and we are looking forward to seeing you! !